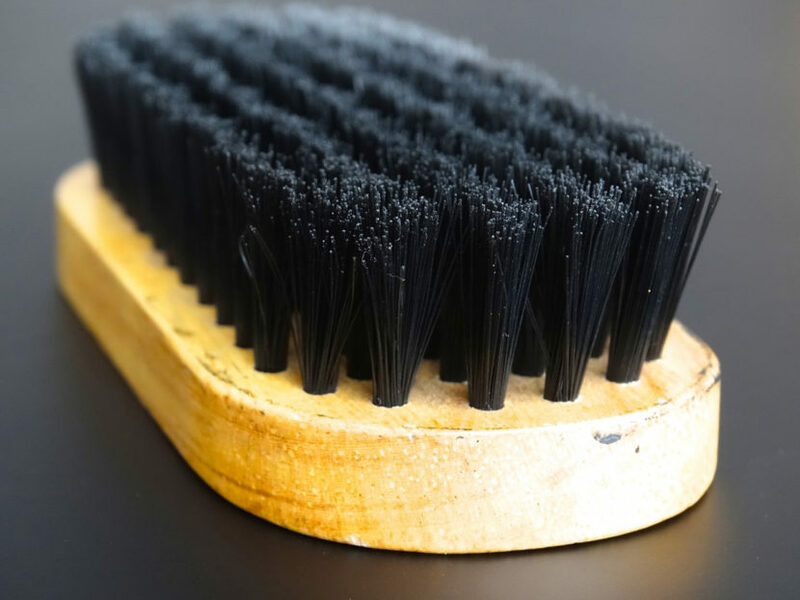 There are many different sizes and stiffness of brushes used to brush out your base after hot waxing and scraping skis and snowboards. Hand brushes are less expensive and work well. They vary in size but the ones about 4″ x 6″ size are good. Rotational brushes or Roto brushes are more expensive and really speedy if you are in a hurry or if you have several skis or snowboards to brush out. They hookup to a standard power drill. To put together a proper set you should have three different types of brushes. First, a Brass or hard nylon brush. Second, a medium stiffness nylon brush. Third, a soft nylon or horse hair brush. Using these brushes starting with the hardest and working through to the softest will allow you to polish your bases to make you really fast. Learn how to hot wax and brush the structure on your bases to make them fast (here). How do I clean the base of my skis and snowboards before I hot wax?